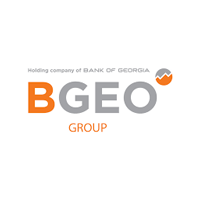 Bank of Georgia Group PLC (LON:BGEO) today announced that JSC Bank of Georgia has introduced a new payment method “QR PAY” to the local small business market. QR PAY has been designed by the Bank as an alternative payment mechanism to the traditional point of sale terminal for small Georgian businesses that previously relied on cash transactions as a means for their customers to settle payments. In order to connect to QR PAY and enjoy the benefits of cashless payments, small businesses should have an account in Bank of Georgia. Once connected, they will start receiving QR PAY services free of charge for the first year. Thereafter, a service commission will be based on the turnover of the enterprise. This is a significant advantage for small businesses with low turnover. For customers who use Bank of Georgia’s mobile bank and a debit or credit card, settling payments with QR PAY application is simple and user-friendly. Currently, there are already up to 800 small businesses connected to QR PAY. Click BGEO for the full archive.